Yesterday the Chartered Institute of Public Relations (CIPR) announced that it was going to make its membership list public – with no opt out. At a stroke the importance of membership and the code of conduct that goes with it was elevated. On the same day publicist Max Clifford took the lectern as keynote speaker at The CIPR’s Northern Conference in Leeds. In building the reputation of the PR industry we scored an amazing goal then almost instantly put one into our own net. My argument is simple. The reputation of PR as a profession is at best average. No individual has done more to shape the public’s impression of PR than Max Clifford, though Joanna Lumley and Jenifer Saunders have come close. Clifford trades in deceit, he says so himself. He also says that he spends most of his time keeping people out of the press. We’ve seen with Jimmy Savile how dangerous it can be when the media is deflected from scrutinising the abusive behaviour of powerful people. The media constantly calls on Max Clifford to speak on behalf of the PR industry. The chartered body tasked with promoting the PR profession needs to be challenging the idea that Max represents the industry – not promoting him as a keynote speaker at an annual conference. Max is persuasive and charismatic, his media klout is phenomenal but he laughs at the idea that PR people should have ethics. It’s a very dangerous combination. Let’s find new voices to represent PR. When Neil Armstrong became the first human to step onto the surface of the moon in July 1969, an estimated 500 million people worldwide watched the event. 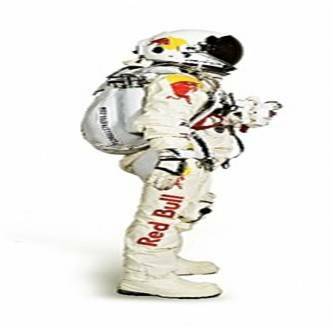 When Felix Baumgartner in a suit reminiscent of those worn by the Apollo astronauts, leapt from his Zenith capsule 24 miles above the Earth’s surface the audience was a mere 8 million. The difference was no broadcast channel was carrying the live footage. Red Bull’s Stratos Channel on YouTube beat the previous record for a live YouTube broadcast by seven and a half million. The Channel has also racked up an astonishing 367 million views in total with three quarters of a million subscribers which should serve it well with YouTube’s latest search algorithm. The event was significant because Baumgartner broke records for the highest jump and became the first man to break the sound barrier, but the way it was viewed was significant too. It has been true for years that you don’t need to be a broadcaster to broadcast, but this was a defining moment in demonstrating that event TV doesn’t need a conventional TV channel. Red Bull isn’t just the sponsor it’s the media owner and that’s a much more powerful position to be in. You can see the highlights in this 90 second round-up – courtesy of Red Bull. Yesterday Facebook announced that it had passed the billion mark. It made news around the globe. This was part of a media onslaught that also included the unveiling of Facebook’s first agency made commercial. I have serious reasons to doubt accuracy of the figure. 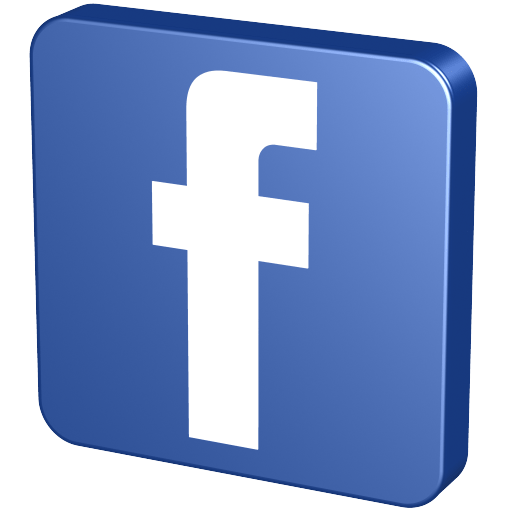 Earlier this year the company I work for was asked by the Student Loans Company to ascertain what proportion of their target audience were Facebook users We guessed it would be most but we wanted to provide a robust response. We took population data published by the Office for National Statistics (ONS) and matched it against age banded user data published by Facebook. This was not entirely straightforward because the age bands that Facebook uses are not the same bands as the ONS uses. Undeterred we found the following. To get an 18-24 approximate figure we took the 20-24 figure and added 2/5 of the 15-19 figure. This gives us 5.87 million for the size of the population. Facebook data for this age group said that there were 7.33 million users. So to answer the question that would mean 125% of the UK population aged 18-24 have a Facebook account. The only reasonable explanation is that a good proportion of people have more than one Facebook account. Anecdotally we know this to be true. There are also a lot of fake accounts – 83 million according to Facebook’s own figures. The billion user story is great for PR, at a time when Facebook really needs it. There may be a billion Facebook accounts but I’m confident that they haven’t hit a billion users, yet. If I’m wrong Mark, feel free to say so in the comments section below. ‘Share This’ has gone straight to number 1 in the Amazon PR books chart on pre-orders alone. The book is an initiative from the Chartered Institute of Public Relations (CIPR) Social Media panel and much of the content is produced by panel members. It is subtitled the Social Media handbook for PR professionals and is set to become an industry standard. It was conceived at a meeting of the panel last year initially as an e-book. Both the publishers and the panel decided that there would be demand for a hard back version. More than 20 of the UK’s leading digital communications and PR professionals have contributed chapters to what is essentially a crowd-sourced social media book. The cover carries an endorsement from no less than Lord Sugar. The book which was unveiled this week is due to have its official launch at Google Campus, east London on Wednesday 18 July. It will be published in both print and digital formats by Wiley on Friday 20 July. Chapter One of the book, An Introduction to Social Networks by Katy Howell, is already available to download for free in PDF format. The book in its entirety can be pre-ordered from Amazon or direct from the publishers. At least seven of the chapter authors are already published authors in their own right. The full list of contributors is as follows: Katy Howell, Simon Sanders, Andrew Smith, Helen Nowicka, Gemma Griffiths, Becky McMichael, Robin Wilson, Alex Lacey, Matt Appleby, Dan Tyte, Stephen Waddington, Stuart Bruce, Rob Brown, Russell Goldsmith, Adam Parker, Julio Romo, Philip Sheldrake, Richard Bagnall, Daljit Bhurji, Richard Bailey, Rachel Miller, Mark Pack, and Simon Collister. The UK’s Chartered Institute of Public Relations (CIPR) has today published a guide advising PR professionals on how to approach Wikipedia. The primary principle is that PR people should not directly edit Wikipedia pages that relate to their organisation or clients. Instead they should use the network to suggest amendments to Wikipedians – the active Wikipedia editors. A consultation hosted on Wikimedia UK received more than 160 direct edits. The guidance document published by the CIPR today is version one – it will continue to be reviewed as the relationship between Wikipedia and the PR communities evolves. The guidance is supported by the Canadian Public Relations Society, the Public Relations Consultants Association and the Public Relations Institute of Australia. This clear guidance coming directly from the industry should reduce the areas of grey surrounding the editing of pages by some well established PR firms. David Cameron’s allegation that Jimmy Carr was tax dodging put the comedian into crisis mode last Friday. Five years ago there would have been a press release and possibly a brief statement given to a carefully chosen news channel. 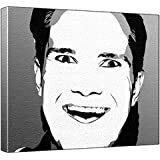 It can’t have escaped your notice that Jimmy Carr put his statement out on Twitter, even though it took five tweets to get the full apology out. Although Carr hasn’t emerged entirely unscathed it is broadly agreed that he did a good job of defusing the story. So why Twitter? He has over two million followers, that’s more than the circulation of any newspaper. He was able to decide the timing of the announcement and he could ensure it was free from comment or selective editing. So if celebrities are side-stepping the press then they don’t need PR people either? Not so. Carr sought the help of his trusted advisor entertainment PR guru Gary Farrow on the handling of the apology. Not every celebrity has a multi million follower list and certainly few corporate accounts can boast that sort of number, but if you are at the centre of a media storm is doesn’t matter whether you have 200 or two million, people will be watching and Twitter provides a faster, more effective route than the press release. Just under two weeks ago Twitter revealed a ‘tweaked’ redesign of their iconic bird logo (image 1). They rolled out some brand guidelines that included usage rules that stated that you should not ‘rotate or change the direction of the bird’ (image 2). Some eagle-eyed twitter users noticed that when you rotate the bird anti-clockwise by 90 degrees it looks oddly like Batman (image 3). As well as updating the bird, Twitter is aiming to rid the web of the huge range of twitter icons; the boxed ‘t’, the variety of birds and the lowercase bubble script ‘twitter’ (Pico font with an adapted ‘e’ if you are interested). The announcement highlights the difficulties in controlling a brand image in an inter-operable and collaborative web. Brand guidelines are endemic in the culture in large organisations, but the ability to enforce rules on the use of the brand logo is much diminished. Five years ago a phenomenon emerged where people were reinterpreting the logos of iconic brands as if they were new web brands. Logo 2.0 interpretations took these identities and played around with them. My favourite was ‘Quakr 2.Oats’. It will be interesting to see how successful Twitter is at controlling its brand identity in a world users as well as corporate communications departments make the rules.